Use more flashes. Proocam PB-02 flash bars allow photographers to mount two or more flashes when. The PB-02' vertical umbrella holder helps keep flash heads centered in the umbrella for more even light. 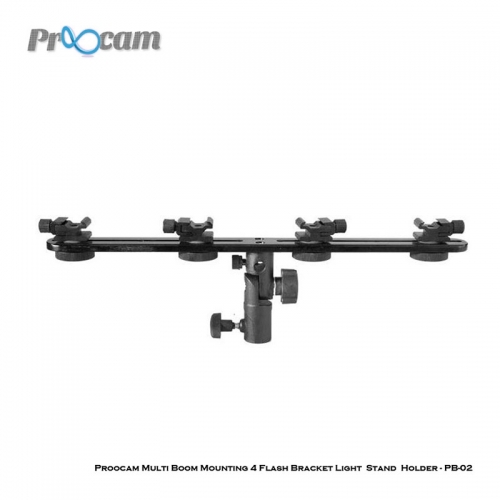 The PB-02 features a 39 cm bar with five cold shoe mounts.It can be quickly disassembled . A standard 5/8” connection on the bottom, as well as a ¼” and 3/8” threaded insert (female) allow for easily mounting on light stands or tripods.